It was almost a year ago that DEFRA (Department for Environment, Food and Rural Affairs) announced an Avian Influenza protection zone, triggered by an outbreak of H5N8 Bird Flu, most likely brought in by the winter migration of wild birds to the UK. A precautionary measure was put in place to keep domestic poultry separate from wild birds in a bid to contain the outbreaks. 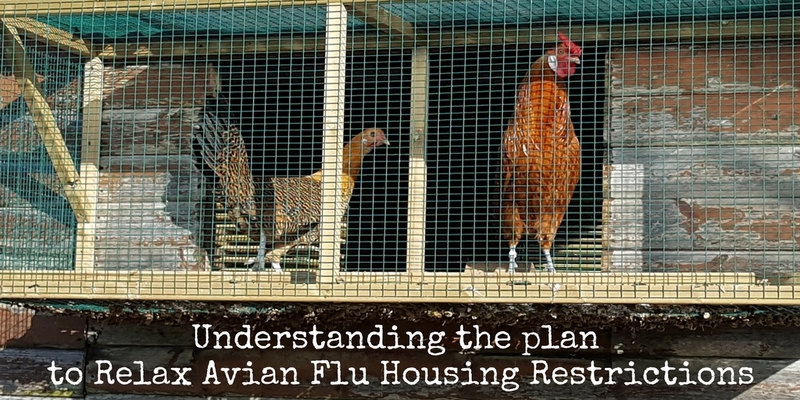 Many poultry keepers were simply not prepared for the effects of DEFRA's Avian Flu restrictions which saw many birds housed indoors for a period of over four months! Birds became stressed and the free-range egg status was compromised and for some there was the heartbreaking and devastating culling of flocks. Thankfully, we have not had a confirmed new case in the UK for several months. Nigel Gibbens, the Government's Chief Veterinary Officer has been advising poultry keepers to stay vigilant and continue to take practical steps to continue with the bio-security and to be prepared, as the risk of a new outbreak is more likely at this time of the year. 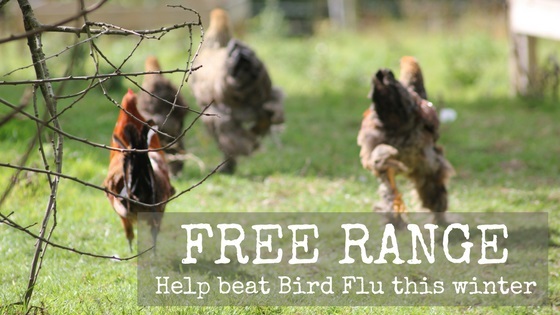 What can I do to help beat Bird Flu this winter? 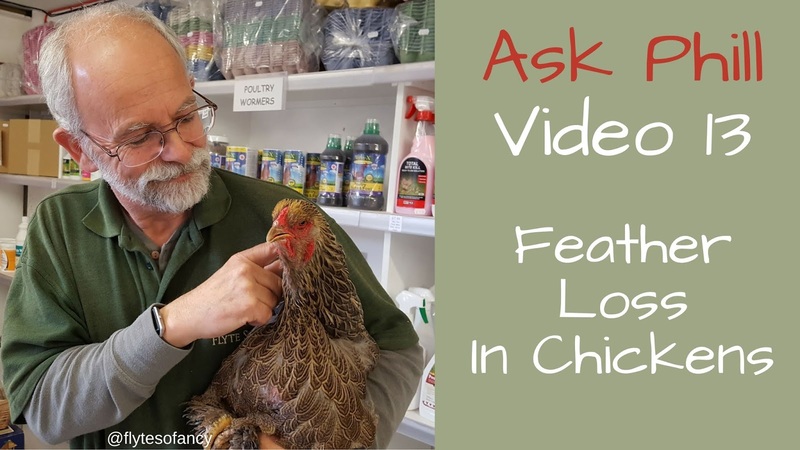 Our #AskPhill video number 6 sets out our top tips for taking stock and preparing yourself and your flock to beat Bird Flu this winter. Click below to watch. One of the most challenging restrictions last year was to keep birds undercover in an effort to control the disease, by keeping wild birds and their droppings out. Much ingenuity was demonstrated as poultry were housed in sheds and garages and makeshift pens, and under trampolines and tarpaulins. As the restrictions were extended more permanent solutions, such as walk in runs, were erected. Flyte So Fancy's Poultry Protection Pens and Walk In Runs can be fitted with a poly-carbonate roof or simply a tarpaulin or Rainshade to keep droppings from wild birds out. Perhaps, the simplest and most cost effective product a poultry keeper should have in the armoury, is Virkon® S - a versatile disinfectant, DEFRA approved and effective against viruses such as those that cause Bird Flu. It is simple to mix-up to be used to disinfect feeders, drinkers, the house and you can even use a watering can to spray it over the poultry run floor! Any left over can be used to create a simple foot bath for your wellies! Good for all year-round bio security. For more useful products and equipment to prepare yourself for Bird Flu shop here where you will find all the products needed for your #BirdFlu armoury in one easy to find place. Flyte So Fancy offer next working day delivery to your door for orders placed before 2pm (Mon-Fri). We do our best to stock everything you need to keep your flock happy and healthy. If you need guidance about which products to choose, please do call us on 01300 345229. Or visit the Bird Flu hints and tips page on our website for more information. Why Should I give my Chickens Apple Cider Vinegar? 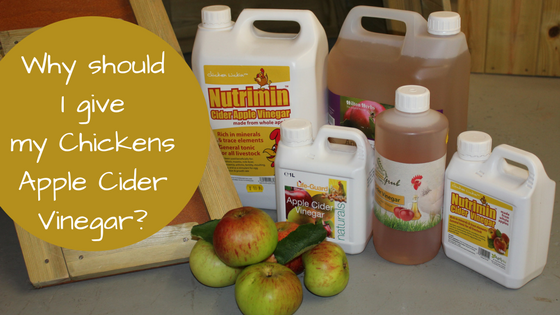 Chickens are usually very entertaining and rewarding but it can be a worrying time to us as chicken keepers when they fall ill. As the old adage goes, prevention is better than cure and one of the best preventative and beneficial products to have among your poultry supplies is Apple Cider Vinegar. How does Apple Cider Vinegar help my chickens? Apple Cider Vinegar contains minerals such as potassium, vitamins A and C, and calcium and phosphorous, which help to support the immune system, especially beneficial in times of stress. 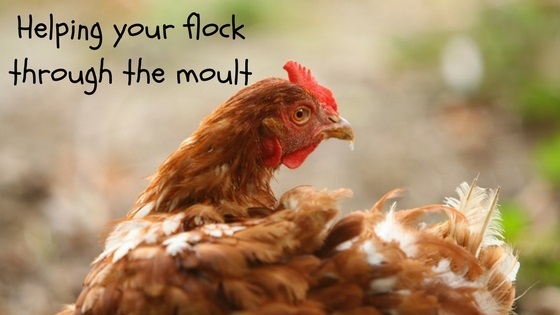 Sometimes during the annual moult, when moving or introducing new chickens, or when predators are making their presence felt, you may notice that your hens go off-lay, lose feathers or are generally listless, indicating stress. Apple Cider Vinegar is, by its very nature, acidic, thus lowering the Ph of the digestive tract, and making it an inhospitable place for worms to live and breed and promoting healthy bacteria in the gut, aiding digestion and clearing the respiratory tract. If you notice your chickens looking under the weather or are worried about their health, our simple chicken check-up list may help you identify the problem. Apple Cider Vinegar is a very cost effective tonic and is added to fresh drinking water at the rate of one teaspoon (10ml) per litre and can be fed for about a week each month. Chicks and young birds can also benefit but at a more diluted 2ml per litre. Take care not to add too much Apple Cider Vinegar as if the application is too concentrated, your chickens may stop drinking. Only plastic drinkers should be used as galvanised drinkers will become corroded by the acidity of the Apple Cider Vinegar over a period of time, damaging both the drinker and releasing toxins into the water. As well as tonic for drinking, Apple Cider Vinegar also has antiseptic and a mild antibiotic properties which can help treat minor wounds and skin irritations (use 1 part to 10). It can depresses the growth of algae in the drinker and can also be used to clean feeding and drinking equipment. It can also be sprayed into and around housing as a very effective mite, fly and insect deterrent. If you have any questions about Apple Cider Vinegar or if you want to ask me a question to be featured in a future #AskPhill video, leave a comment below, or call us on 01300 345229 to speak to a member of the FSF Team. As a new poultry keeper it can be quite distressing to see your chickens looking scruffy and balding and you may worry that there is something more sinister going on when they stop laying, but rest assured, the annual moult is perfectly natural. Most chickens shed their feathers in late summer or early autumn, and as this coincides with a time of the year when there is less daylight hours, it can sometimes put the birds under further 'stress' as the production of vitamin D3 is reduced and there is less time to scratch around for high protein grubs. Depending on the breed, it can take around 6 to 12 weeks for the moult to complete, during which time you may find only the occasional egg being laid. Replenishing feathers requires protein and so it is perhaps too much to ask that our girls continue to support egg production whilst simultaneously producing feathers. Like hens, cockerels also moult and are likely to be infertile at this time as they lose body weight and their reproductive physiology is undergoing a resting phase, so they too will benefit from extra protein to help them put on body fat. In extreme cases, if a bird is not getting enough protein, it may peck and eat the feathers of other birds, which can cause bad habits that can be hard to break and result in bullying behaviour as a result of feather pecking. It is important to feed your chickens a good, high quality protein rich diet at this time of year. Layers Pellets should contain around 16% protein and we can recommend feeding Garvo Alfamix for Chickens. Our chickens always appreciate a treat but not all are created equal. At this time of the year it is worth considering swapping out the windfall apples and pears and cabbage leaves for a superfood treat such as Natures Grub Superfood Poultry Treat. Our Flyte So Fancy Oreganico Poultry Tonic is a natural solution of Oregano oils to boost your birds' immune system at a time like this and can in fact used as as prophylactic throughout the year. Just a few drops added to the drinking water is all that is needed. A very cost effective tonic which has anti-microbial and anti-oxidant properties, offering a natural alternative to antibiotics. If you are dealing with chickens that are looking really sorry for themselves, during the annual moult or perhaps if you are re-homing ex-battery hens, try adding the Flyte So Fancy Cal-Boost, a concentrated calcium and mineral supplement containing Vitamin D3. If you have any questions about how to best care for your hens during the annual moult, why not leave a comment below, or call us on 01300 345229 to speak to a member of the FSF Team. It's getting near prime Summer holiday season (the three fans I have pointed at me in the FSF office can attest to that) and with the excitement of a holiday comes a little simple planning on how your chickens are to fair, while you sun yourself in a foreign clime. Here are five things to think about while preparing for your holiday. While your away who is going to make sure your hens are locked up safe at night and let out each morning? A willing family friend or neighbour is all well and good but can be a terrible imposition. This is where Automatic Chicken House Door Openers really come into their own. Operating off either a light sensor or a timer option, they open and close your hen house door every morning and evening, keeping your girls safe and saving you having to ask a neighbour to "pop-round" at the break of dawn each day. Running off of AA batteries and coming with a manufacturer warranty, both the Chicken Guard and VSB Auto Door Opener Units are a real life saver for long weekends, holidays away and just having a lie in any day of the week. A good sized drinker set up in the corner of your run will make sure that your hens always have access to fresh water. 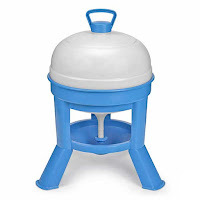 Drinkers with legs, like the Gaun Tripod Drinkers, means that the water stays clean and fresh while you're away and you don't have to worry about your hens kicking mud and other muck into their water. 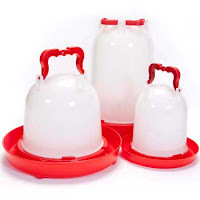 A big drinker would do well over a long weekend and the kind asking of a neighbour to top it up on occasion over a week would see your hens hydrated and fresh. When it comes to feeding your hens the rules are not dissimilar to giving them a supply of fresh water. A hen will eat roughly 200g of Layers Pellets feed a day (dependent on what other food may be available) and so a feeder should take the number of hens you have to that ratio. A good quality feeder, raised up on legs, or with an anti-waste grid will prevent your hens from spilling or wasting feed. Again a kind person checking that the feeder is topped up, will keep your hens happy and well fed. If you are going away for over a week you will need to ask someone to clean your hen house to make sure your chickens are living in hygienic conditions. This is important to avoid any infections in your hens from a dirty and mucky coop. With this in mind, you may want to make sure you have supplies for cleaning at the ready. We offer a next day delivery to most areas of the UK. Perhaps one that isn't often thought of (but if you are away for a long time should be considered) who is going to collect your eggs. If you have six hens laying six eggs over six days, that is a total of thirty six eggs sitting in the nest box by the time you return. Not removing the eggs could result in them getting crushed leading to egg eating (a habit hard to break), your hens laying eggs all over the place in any clear spot and the possibility of a hen going broody and sitting on this great pile of eggs. As always, arranging a trusty person to come in and collect the eggs from the nestbox is the best thing to do and often a nice reward for checking on your chickens in your absence. When going away and arranging looking after your hens some things are easy to organise. An Automatic Door and a larger feeder and drinker will take care of any long weekend you may have planned. Longer holidays require a little more planning, to make sure the hen house remains a hygienic place for your hens to live. If you have any questions about the best way to look after your hens while on holiday, why not leave a comment below, or call us on 01300 345229 to speak to a member of the FSF Team. Firstly let me apologise that it has been so long since the Flyte so Fancy Blog has blogged. However, I noticed a trend over the last few months, after the DEFRA Avian Flu conditions were lifted, of people phoning with a problem that sounded like Depluming mite. 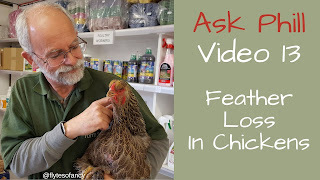 Usually very rare among poultry keepers, it isn't a subject that we have covered often before. However, we think that there may be a correlation between everyone having their hens confined over the winter months and the increased cases of possible Depluming mite. The mites cause great irritation to the hen's skin and so a bird pulling out their own feathers is a sure sign. Depluming mite burrow into the feathers and skin around them so your hen's skin will appear red and sore,and around the base of the feathers scabs can form. Feathers that look dishevelled or damaged are a good sign that mite may be attacking them. Depluming mite are very similar (and related to) Scaly Leg Mite and work in a similar way. Living on the bird only, they can go from baby to adult in just over two weeks. As the mite spends its whole life living on the bird, it is transferred from bird to bird by physical contact. Mite powders tend not to have an effect on Depluming mite as they cannot reach the mite within their burrows. The best thing to use (again similar to treating scaly leg mite) is Ivermectin Drops 1%. 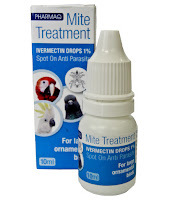 A spot on anti-parasite treatment for mites, this will deal with the depluming mite on your birds. Applying a few drops to the area between the shoulder blades once a week for three weeks, should take care of the problem. Ivermectin isn't licensed for poultry specifically, but for small domestic pets/birds not intended for food use. There is also likely to be an egg withdrawal period also. Depluming mite is a particularly nasty little mite that can leave your hens looking very sorry for themselves. If you have any questions regarding depluming mite, or any other mite that may be affecting your hens why not leave a comment below, or call us on 01300 345229 to speak to a member of the Flyte so Fancy team. When it comes to a home in the country, ducks look for decidedly different things than their chickens chums, which is why when purchasing a home for your ducks, it's important to get a home suited for them. 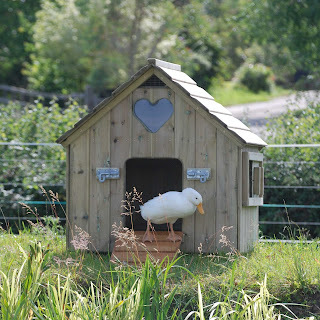 Flyte so Fancy Duck houses are built from our tanalised treated Scandinavian redwood, all the fixtures and fittings are galvanised steel making them robust and long lasting and all have been designed with the needs of ducks in mind. The Classic Duck house is one of our most popular duck houses for first time duck keepers and established flocks alike. Suitable for up to six ducks (Indian-Runner sized), the duck house has all the essential features for keeping your ducks healthy and their home hygienic. Ducks stand more upright than chickens, as such they need a larger door to get through. The Classic Duck house comes with a large pop-hole opening, and the door to the duck house folds down like a drawbridge, to provide an easy to navigate ramp for your ducks (most ducks don't do climbing or steep slopes). Ducks are messy. They like to make a mess, they don't mind a mess and if they can take a small puddle and turn it into a quagmire they will. As such being able to clean the duck house out properly is important. The Classic Duck house comes with a fully removable side panel, so when it comes to cleaning you can get right inside the duck house to clean every corner. As mentioned just above, ducks are messy. Due to this their home needs ventilation. Ducks don't perch; they sleep, poo and lay their eggs all inside the house. As such they need plenty of floor space and they need a thick layer of bedding to snuggle down in to. However all this messiness means duck housing requires top ventilation and the Classic Duck House (along with ventilation in the apex of the roof) also has a large ventilation window in the side panel; complete with sliding cover allowing you to open as you please. 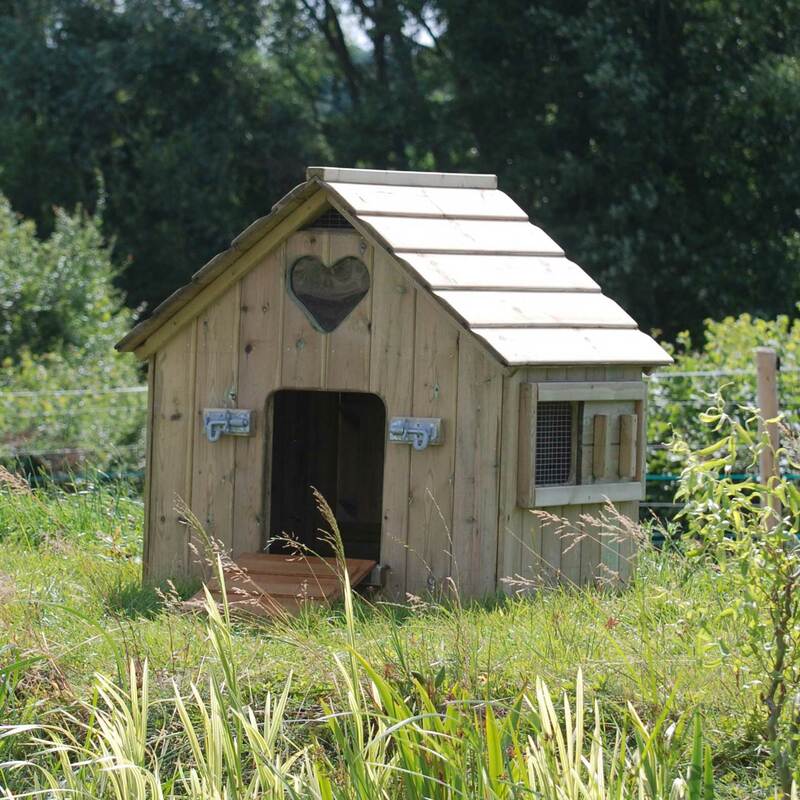 The Classic Duck house is the ideal home for a flock of ducks, spacious with plenty of ventilation, to keep ducks in a healthy and hygienic house, with added rustic charm. If you have any questions about our Flyte so Fancy Duck Houses leave a comment below or call us on 01300 345229 to speak to a member of the Flyte so Fancy team; always happy to help. One of our most popular hen houses since the workshop first nailed two boards together; the Maggie's Hen House range has everything you need to keep your hens happy and healthy. Coming with external nest boxes for easy egg retrieval, removable dirt trays for easy cleaning and a classic design that makes it easy on the eye, the Maggie's Hen House is ideal for first time poultry keepers and established flocks alike. It even comes with an option for when your love of hens becomes so much you start to wonder where you are going to keep them all. The Maggie's 24 Hen House. A substantial and robust hen house, for large flocks has everything that hens need to live in spacious luxury. This week's Flyte so Fancy Chicken Blog is a photo tour of the Maggie's 24 Hen House and its many features. Starting inside the hen house, the Maggie's 24 comes with a set of four raked perches providing plenty of room for each and every hen to roost in comfort. The hen house comes with ventilation in the apex of the roof, however there is also additional ventilation from a side window with a sliding cover allowing you to provide extra air during warmer weather and keeping the hen house fresher and more hygienic. The Maggie's 24 come with a large external nestbox. 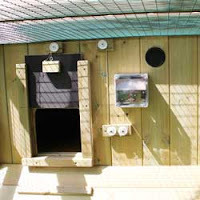 Dividers in the nest box provide three cosy dark areas for your hens to settle down in. The lift up lid of the nestbox then allows you to collect your eggs with ease. The removable dirt tray can be accessed from outside the coop via a sliding panel. You can then take the dirt tray directly to your compost heap to get rid of your used bedding; making cleaning that much easier. The Maggie's 24 Hen House is a large hen house for larger flocks. It's many labour saving features and easy access for cleaning make it a simple and easy to use hen house for poultry keepers. The additional option of adding an automatic door opener, to save you early mornings to let the hens out. 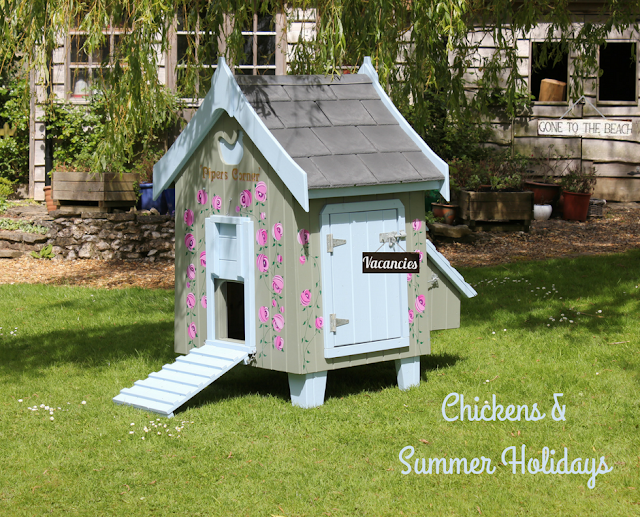 If you have any questions about the Maggie's 24 Hen House why not leave a comment below or contact us on 01300 345229 to speak to a member of the Flyte so Fancy team. If you are lucky enough to live in an area where the Avian Flu restrictions are going to be relaxed after the 28th February then you are probably excited to see your chickens out and about once more. However before you let them run free, there are a few jobs you need to take in hand. Firstly (and most importantly) are you able to let your hens out or are you still within one of the remaining prevention zones? Check the interactive DEFRA map to see if, come February 28th, your hens are allowed out and what remaining restrictions may apply. However, there are still jobs to be done around the hen house, especially after all of our hens have been cooped up for just over two months. Kill Vermin - With all our hens having been contained for so long the chances of rats and mice being attracted to feeders and spilt feed around your run may have increased. The best solution is to get rid of them. Properly positioned lockable bait boxes are the way forward, keeping wild birds, pets and children safe while disposing of rats and mice. Equally tidying up any loose feed and around feeders (where hens can make a mess) will help deter any further vermin problems. Treat the Ground - Even in covered runs the ground is possibly beginning to look "fowl sick" after such an intensive couple of months. 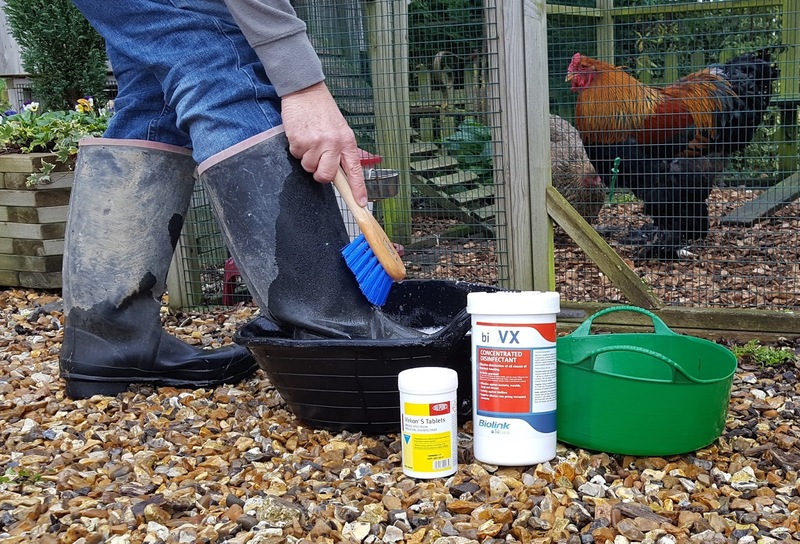 If letting your hens out into a wider area remove any obvious signs of possible contaminant, then treat the ground with a Ground Sanitising Powder or Virkon-S Disinfectant. This will not only safely guard against Avian Flu, but also aid in more common poultry problems, such as worms. Cleaning the Hen House - Similar to treating your poultry run or outside area, your chicken coop will need some maintenance and a thorough deep clean. It is easy when the hens are contained to allow the hen house to get into a bit of a state, but liquid cleaners and Flyte Coop and Run Sanitising Powder should be used to make sure that every nook and cranny of your hen house is clean and hygienic for your hens. Feeders & Drinkers - You hens may be heading back outside, however, their feeders and drinkers need to remain covered and out of the way of attracting wild birds. Putting them inside a shelter or under a covered area within a run will help prevent contamination from wild bird faeces or direct contact. The last point is to double, triple and quadruple check the interactive map regarding what restrictions may be being lifted, or remaining in place, in your area. Some areas will still have the Avian Flu restrictions in place, so make sure you understand what your hens are allowed to do. The fines for not following the rules remain in place. If you are and your chickens are still restricted by the regulations then read our previous blog entry, 6 Top Tips for Surviving Bird Flu, to help you and your hens until the restrictions are lifted. If you have any questions why not leave a comment below, or call us on 01300 345229 to speak to a member of the Flyte so Fancy team. After 28th February keeping your poultry housed will no longer be mandatory and only if your birds are located outside The High Risk Areas. With the Bird Flu Prevention Zone Measures due to expire on 28th February and the need for clarification regarding the UK’s Free-Range bird status, DEFRA (Department for Environment, Food and Rural Affairs) have recently issued their proposals to lift the housing order from the end of February in some areas. As poultry keepers ourselves we understand that the welfare of your flock is a priority and this is the news that all of our bored poultry have been waiting to hear! But wait. There are some preparations you need to make. To identify the risk of Avian Flu to your flock, DEFRA have created an interactive map which defines the Higher Risk Areas in England See the Interactive Map here to find out if you fall within any restriction zones imposed by DEFRA. The Protection Zone : Controls imposed if you are within a 3km radius exclusion zone around premises affected by confirmed cases of H5N8. A Surveillance Zone : Restrictions imposed due to being within a10km radius of an affected premises. Proposed Higher Risk Areas : Generally, these are areas which are near where wild birds (and in particular gulls and wild waterfowl) gather, such as lakes, marshes or estuaries; they include areas where cases of the avian flu H5N8 virus has been found. Not currently in a Higher Risk Area? : Keep a check on the map as updates may mean that the areas change as new information gets recorded. a) Housing: Open to all areas of England / All zones. Although it is likely to provide the best protection for your birds from Avian Flu, keeping poultry housed will no longer be mandatory from 28th February. If you continue to keep your birds housed in temporary or permanent accommodation, then bird welfare must be monitored and suitable steps taken to ensure that the environment is suitably enriched –see our earlier blog 6 Top Tips to help your hens survive Bird Flu. Continued confinement is likely to affect your ‘free-range’ marketing status. Allowing birds outdoors but only into a fenced run which is fully covered. Many of us have favoured this option throughout the Prevention Zone restrictions, keeping our flock separate from wild birds whilst maintaining room to scratch about and avoid boredom. If you have made do with a temporary structure and you are now considering erecting a more permanent solution, see our Poultry Protection Pens for secure and safe poultry runs. c) Supervised access to enclosed outdoor areas: Only available after 28th February to areas outside the ‘Higher Risk Areas’ after a risk assessment. There are some restrictions and to take advantage of this option, keepers will need to meet certain conditions. Assessments must be made of the risk of birds coming into contact with wild birds or contamination from them. You will need to make sure that outside areas (ranges) are fully fenced and that birds are not allowed to roam outside this fenced area. This area must not include ponds or other areas of standing water. Where possible, you should not allow domestic ducks or geese to range alongside other types of poultry. To see the full measures, see Annex 4 of DEFRA's Planned controls in England from 28 February 2017 here. Anyone planning to allow their birds outdoors from 28 February should begin to prepare now. Irrespective of the number of birds or how they are kept, keepers of poultry and other captive birds must adopt these bio security measures at all times. Records must be kept of all vehicles and people that enter the part of a premises where poultry are kept. For sites with over 50 birds, foot dips containing a Defra-approved disinfectant should be used on entry and exit to both houses and outdoor areas/range where the birds are kept. These measures will provisionally remain in place until the end of April 2017. This approach remains under review and is subject to change, with a final decision being confirmed at the end of February 2017. The Flyte Aviary 8 was designed a few years ago by the Flyte so Fancy workshop to fulfill the needs of a certain group of poultry keepers. 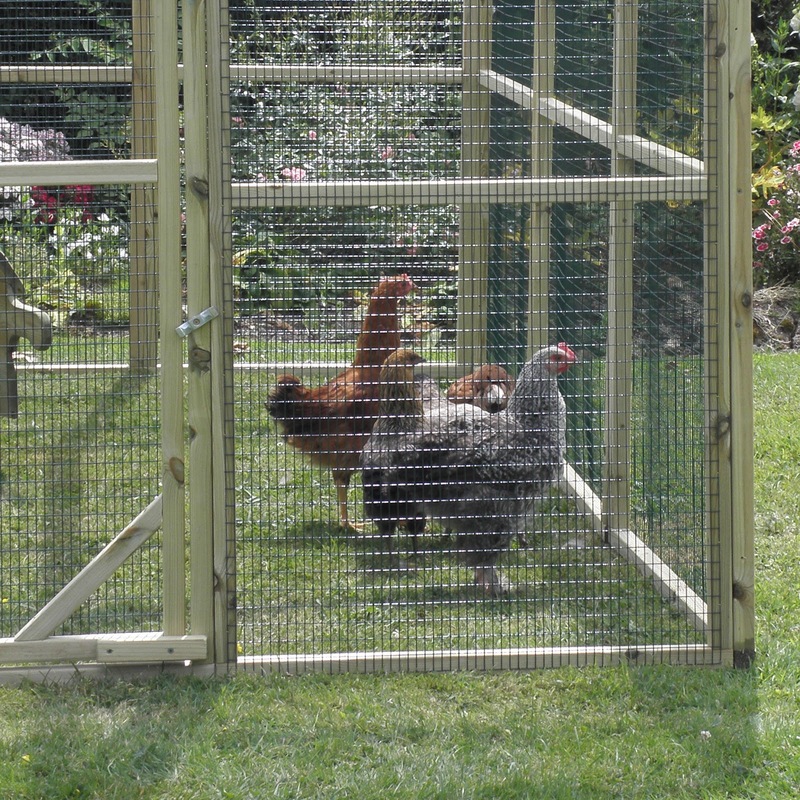 Those with unused corners in the garden, or confined by limited in space, in which to keep their chickens. The Flyte Aviary 8 is so jam-packed with ways to make poultry keeping quick and simple, that this week's Flyte so Fancy Chicken Blog, is a photo blog, highlighting the many clever design features of the hen house. All the access on an Aviary hen house is one side, for both the house and run. This makes the hen house ideal for placing in those dead space corners of the garden, or pushed up against fences and hedgerows. Access into the run is possible through a large door and there is a secondary smaller run door to give entry to the area underneath the raised house. The Aviary hen house comes with a raised living area. Inside the ventilated house area, there are a double rack of raised perches for your hens to sleep on. The whole floor of the hen house doubles as a removable dirt tray, while the large double doors provides full access into the coop, allowing for simple and easy cleaning. The floor is made from resin coated board (as is the roof) making it waterproof, so you can turn the hose on it for washing it off. The large external nestbox provides room for a couple of hens to lay at a time. One of the most unique features of the Aviary Hen House is its rack of raised day perches. Running the width of the run, they provide somewhere for chickens to perch during the day, doze in the sunshine and have a chat with their chicken buddies. The raised day perches also means that no space is lost on the floor of the coop. Providing a multi-tiered home for your hens. The Flyte Aviary Hen House is a cleverly designed chicken coop for hen keepers with a paucity of space in their back gardens. Its unique features make it easy to keep and clean, while also being a happy and healthy home for hens. If you have any questions about the Flyte Aviary you can leave a comment below or call us on 01300 345229 to speak to a member of the Flyte so Fancy team. 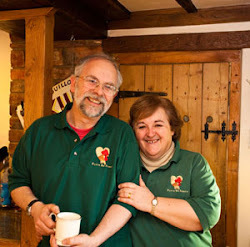 When I started writing this blog at the beginning of the week it was a drab, drizzly, dreary Dorset day. But today it is one of those crisp, winter days where your breathe fogs in front of your face and the countryside glistens with a million tiny ice crystals. Cold weather to warm weather, from grey skies to blue skies, makes tough times for our hens in these depths of winter. With all this cold weather your hens may need a boost to help them through the cold and wet winter. This week's Blog look at three of our best Poultry Tonics for helping your hens through colds, keeping their feathers shiny or for general health and well-being. A natural solution of Oregano oils vital for boosting your birds immune system. Its anti-microbial and anti-oxidant properties make it great for dealing with chickens colds and sneezes, prevalent at this time of year in chickens and their owners. Oreganico Poultry Tonic is incredibly economic, a few drops per litre of water is all that is required for helping combat diseases like Avian Flu, Blackhead, Coccidiosis and more. An intensive calcium and vitamin D3 liquid supplement for aiding bone strength, egg shell quality and to support feathering. The Vitamin D3 enables the body to absorb the calcium. if your hen is laying weak shelled eggs then Enhance Tonic will help re-stock your hen's calcium levels, thereby solving the issue of weak shelled eggs. 5ml of Enhance Tonic should be added to each litre of water daily, for a period of one week, to top up your hen's calcium levels. After which the tonic can be given once a week. Effects of the tonic will not be seen immediately, but require time for the tonic to take effect. A complete vitamin and mineral tonic for all birds for maintaining health and well being all year round. The added seaweed aids in the absorption of the many vitamins and minerals, as well as improving yolk colouring. 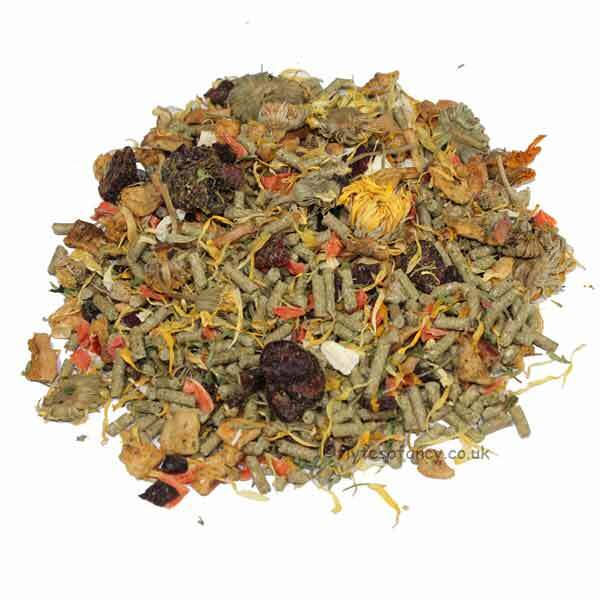 This is a good tonic to give to a hen after a period of stress, to aid in their recovery. Add 5ml to 4.5 litres of drinking water for a general tonic. At times of greater stress, add 5ml to a litre of water, to help boost the bird's health. Winter can be a difficult time for hens. Shorter daylight hours, cold, frosty days and general coughs and sneezes can be a problem; however, these three tonics work incredibly well as general and specific tonics, to keep your hens happy and healthy this winter. If you have any questions about the best sort of tonics for your hens, why not leave a comment below or call us on 01300 345229, to speak to a member of the Flyte so Fancy team. Whether it is for keeping your hens off the vegetable patch or ensuring they stay safe from marauding foxes, the Flyte so Fancy Protection Pen, provides a secure, walk in run, for your hens to get about the busy work of being a chicken, in peace and quiet. 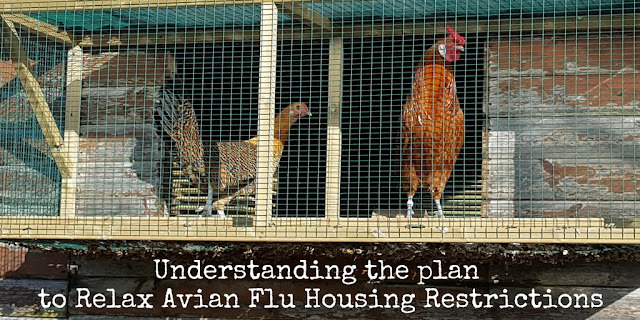 With orders for Protection Pens flying in, this week's Flyte so Fancy Chicken Blog has a look at why they are ideal for so many poultry keepers (and why they are perfect for current Avian Flu restrictions too). SIZE - A strange one to start on perhaps, but as a 6ft 2" poultry keeper, being able to actually stand up right in a poultry run, is a real bonus. The maximum height of the Protection Pen stands at 6ft 6" means you can nip in and out of your run for topping up feed or spending time with your hens, without getting on your hands and knees. 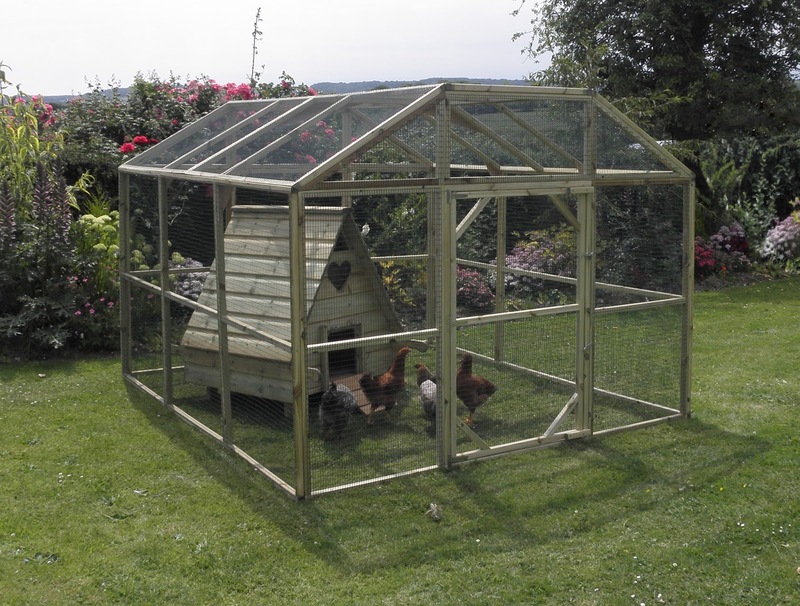 SPACE - The large spacious area, gives plenty of room for placing perches, activity centres, feeders, drinkers and other things to keep chickens entertained, as they scratch about. LENGTH - Not all gardens are the same size and we don't all have the same amount of room for our hens. starting at 9ft long, the protection pens can be increased in 3ft increments, to a maximum length of 24ft, meaning the Protection pen can match any garden size. TIMBERS - The framing of the entire Protection Pen is made from sturdy 38 x 38 pressure treated timbers. Once screwed together this framework gives an incredibly sturdy but lightweight structure, strong enough to keep predators out and your girls safe. WELDMESH - All of the framework of our Protection Pens is stapled in place with 19 gauge, inch by half inch galvanised weldmesh, so strong you can't bend it with your fingers. This is then covered with a plastic green coating, making the pen un-obtrusive in the surroundings of your garden. Polycarbonate Roofing to keep your hens out of the rain, sleet, snow, and any other weather that can be thrown at us. Fitted by the workshop, if ordered at the same time, the Protection Pen arrives with the roofing already installed. Handles. 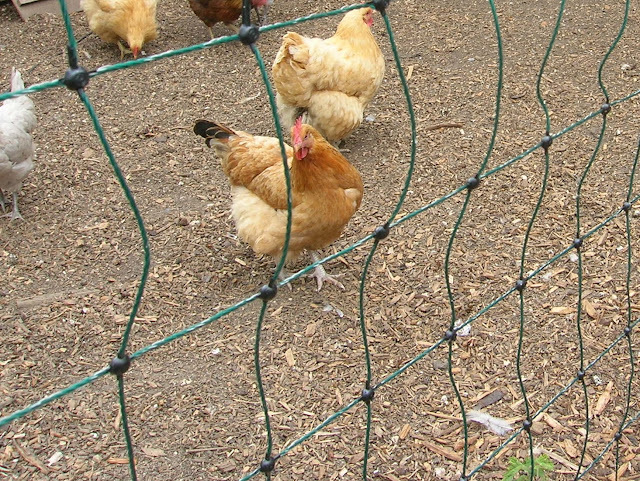 For Pens up to 9 x 15, helpful handles can be added to each corner, making it possible for the pen to be lifted and moved to a fresh patch of grass. Rainshades. If you don't want to cover the whole run roof, but still want to afford your hens some shelter, then our extra large removable Rainshades are ideal. Held in place in each corner by strong bungee ties, the Rainshades offer both shade in the summer and a dry spot from the rain in the winter. Avian Flu - Regarding the current restrictions imposed by DEFRA, Flyte so Fancy Protection Pens fall within the restrictions of having your birds "inside" if the roof is covered by polycarbonate roofing or a tarpaulin. The welmesh used is small enough to prevent wild birds getting at your hens and as such allows your hens the freedom of "outside" while remaining safe. If you have any questions regarding our Protection Pens for Poultry why not leave a comment below, or call us on 01300 345229 to speak to a member of the Flyte so Fancy team.